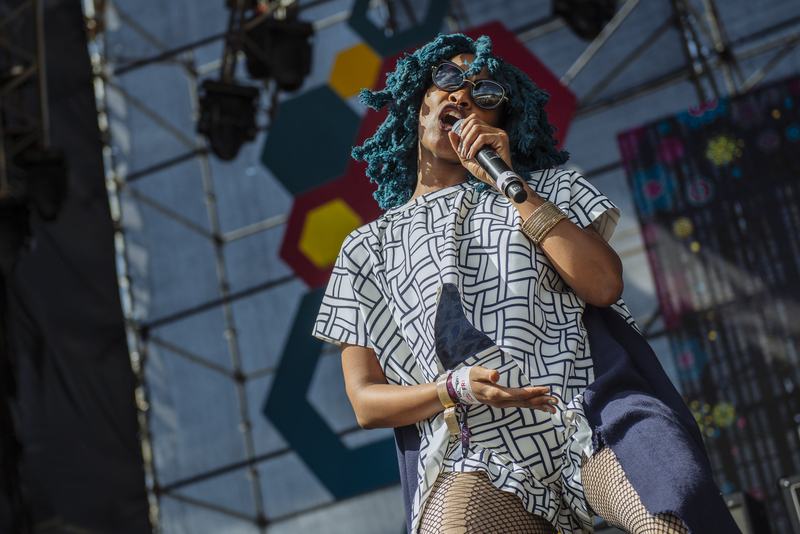 So the Red Bull Music Festival is set to raise the bar for the 2018 South African music-festival calendar with an exhilarating musical experience that takes place from 3 to 8 April 2018 in Johannesburg. Trompies, Oskido, 340 Million, Moozlie and Distruction Boyz are among the local musical stars confirmed to perform at this exciting explosion of sound. Following the hugely successful Red Bull Music Academy Weekender and Red Bull Culture Clash events in 2016 and 2017 respectively, the flagship Red Bull Music Festival (RBMF) event will boast a blockbuster contingent of eighty local, pan-African and global acts set to take over Joburg for six days. The festival will feature an array of musical genres, which play a pivotal role in shaping the SA music landscape. Everyone from upcoming jazz soul sensation Langa Mavuso to the West Coast hip hop inspired electro DJ, Egyptian Lover through to Durban’s King and Red Bull Culture Clash winner DJ Tira all the way to the reggae duo Admiral and Jahseed will be taking to the stage at the festival. When you look back on how far you’ve come and how you’ve evolved as an artist, how are you feeling right now? I feel amazing, because finally my dreams are coming to fruition. I am now recognized internationally, and more importantly my parents are my biggest fans, they are so proud of my accomplishments and have truly been supportive throughout my entire journey. Now you’ve always been ahead of your time with regards to the South African local music scene, would you say there was a disconnection between your music and the South African mainstream music, because you are internationally recognized? and what are the notable challenges you’ve encountered in your journey regarding the South African music scene? I’ve been fortunate to work with Busisiwa, she has great song writing abilities that I draw inspiration from, most of the artists I have worked with share the same creative aura that I have. Artists like DJ Tira, DJ Maphorisa, Das Kapital, Damon Albarn along with Tshepang Ramoba have given wings for me to explore my creativity in ways I never imagined were possible. What have been some of the notable challenges you’ve encountered on your journey to date? Challenges I’ve encountered are standing up for your artist fee, and learning not to be friends with everyone. This industry teaches you to keep your guard up as not everyone can be trusted and not everyone who you think is a friend has great intentions for you. Word. Please describe your state of mind in 2018 and how different is it from before? My state of mind is much more focused and refined this year, as more boxes have been ticked especially with booking gigs and finding time for my design work. I have always been a go-getter, and this year I want no missed opportunities as before I used to procrastinate. How did you become part of the Red Bull Music Festival and what kind of experience can people look forward to? I became a part of the festival through my history with Red Bull Music Academy, Red Bull discovered my music through an EP I was featured on with DJ Shimza, this was a part of the Soul Candi Album. My line of involvement with Red Bull stretches far, beginning from the Red Bull Studios to the Red Bull Weekender, and it is with this that I was approached to become part of the Festival. People can expect a weekend full of energy, plenty of surprises, hot sounds and special guest performers. Red Bull will provide an environment for artists and festive goers to connect and celebrate genres of music, storytelling and culture in a compelling way. Besides your own performance which other artist performance are you looking forward to seeing? There are 80 artists, performing in 9 different venues, over 6 days in celebration of one city, that has birthed musical icons across genres. I look forward to showcasing the diversity of the South African and African music industry and its cultural offerings which also celebrates the diversity of Johannesburg. What are your opinions on the current state of the South African music scene? Do you think we can effectively compete on the international music stages? Many South Africans are playing overseas but are not recognized by their own local market. Artists battle to find their identity, to conform to mainstream western culture and I feel as though, there is a need for artists to start stepping out of their comfort zone, and to create their own original sense of style and artistry. Yes, I do think we can effectively compete internationally and collaborate more with international talent, we are doing it currently with the Black Panther Music Soundtrack. Just to conclude what would you say is the secret to maintaining a successful and creative career? The secret is to be flexible, explore opportunities, collaborate with other artists and to give props where they are due. The 4th of April is a celebration of jazz music at The Orbit, a jam session that will create a once-off experience for those who attend. After a night of jazz, Admiral and Jahseed, African Storm Sound System leaders from Red Bull Culture Clash put on a reggae show at Newtown Music Factory with Maad Mugo on the 5th of April. Republic of 94 will be the home of the festival’s Kwaito night on the 6th of April. Saturday sees the likes of up and coming Namibian triple threat Gina Jeanz, Dwson and Stingray perform alongside Mozambique’s 340 Million who will revive their music catalogue.